We all hope that you’ll all have an awesome time at Summer of Sonic, and that everything will go smoothly, without a hitch and basically that SoS10 will be perfect. But just in case we’re here to help. Those of you that have received your tickets will notice you’ve got a nice shiny blue ticket with Sonic on. Well there are two other types of tickets, of which the one you may want to look out for is the red one, featuring our favourite Echidna. Why do you want to look out for those? Well these tickets are reserved for people running the event, such as myself and the other guys who write these blogs.Â If you need some help talk to any of the guys that have these tickets hanging around their necks and they will do their best to help you. However there are two areas that there will always be staff, the DJ box at the front of the venue will always have a DJ there, most useful if you’ve lost your parents or other members of your party and need to signal them to come down to you. The other place being the entrance where you will always find me and some form of security. In the end we hope all members will be sensible and kind to each other but any problems, search one of us guys with red tickets out. Remember guys we won’t allow anyone who alters their ticket in, so don’t even try to create a red knuckles ticket, because I know everyone that is meant to have one, and if you aren’t one of them you aren’t getting in. With only a week to go hopefully you have your ticket printed and ready to go! 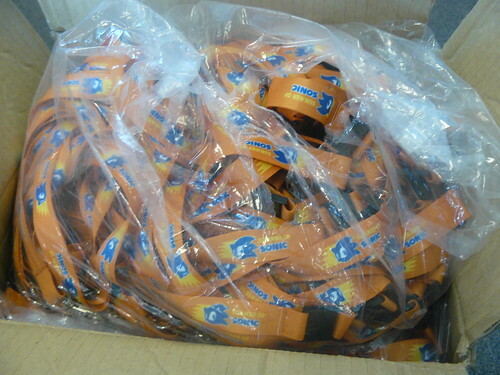 Step Right Up and Get Your Summer of Sonic Crush 40 Merchandise! As well as receiving your bag of goodies at the door, there will also be a while load range of merchandise available for purchase at the Summer of Sonic; enough to appease the appetite of even the most avid merch-hog out there! Feast your eyes on one of the very first Official Crush 40 T-Shirts, that will be for sale during the event (including this EXCLUSIVE Summer of Sonic design!) As well as a selection of T-Shirts available, there will also be other Crush 40 goods available including badges and guitar picks. All items will be available for purchase at the Crush 40 store during the event! Youd better bring your pennies with you! EDIT: There will also be a selection of CDs available at the shop on the day too! Oooh, shiny!Â For more details on the 2010 Cosplay competition click here. NB: AAUK not included in prize. 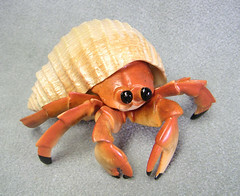 Okay this is rather embarassing, but I actually FORGOT something thats going to be in your goodie bag you get upon entry. What’s worse is that I’ve had these the longest! 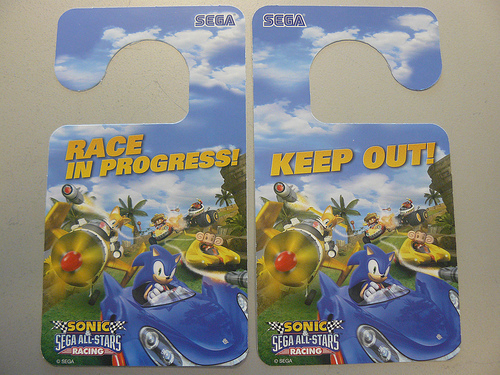 In any case you can successfully add one of the ASR door hangers to the already LUDICROUS amount of freebies you’re getting from me, SEGA and the SOS team whilst stocks last. I’ve heard good things about your convention and require your detective services – and I can pay HANDSOMELY. But first I must test your abilities. Here is your mission, I want to test your investigation skills with a little scavenger hunt. What fantastic scheme have I got for you? They will tell you what you need to do on the day…. Stay tuned later this week for news on how a two-way radio can result in prizes, how you can get your hands on a unique piece of Archie goodness, why you should probably keep your throat in good nick in the run up to SOS and just how you could litterally be “up for the cup”. Hi guys. I’ve noticed recently that some people have been a bit confused about SoS’ advance registration, and more importantly, what’s happening with their own registration. I’m going to try and cover all the bases here, so bear with me for a bit. The Pavilion, our venue this year, has a 1000-person capacity, and by law we’re not allowed to go over that on the day. That means we have to stop accepting new registrations once they reach a certain number, so we can manage the visitor numbers. We picked a number, and as of midday on today the 25th, there’s 50 registrations left. In a day or two, they’ll all be gone. You’ll have to register your details and an emergency contact at the door. In order to get the initial surge of visitors in quickly, for the first hour of the event we’ll only allow people with valid tickets to enter. After that first hour, people with tickets will be given priority to get in. If we reach maximum capacity, you’ll have to wait for someone to leave before we’ll let you in. We care about privacy; you can trust that the details you provide will only be used by the security team at SoS, and will be deleted permanently shortly after the event ends. If you register for a ticket, there’s no obligation to come along on the day if you’re not sure if you’re going to come. To register, visit the registration site at http://register.summerofsonic.com/. This is our fault, I’m afraid. There’s a bug in the system that means if you leave the registration page open too long – say, 30 minutes – and then submit it, it won’t actually send us your information. If this happened, you should register again. If it went through correctly, the next page will tell you so and you’ll see the info you entered. Okay, if the page said your details are in, then they’re in, don’t worry about that. You should have received an email straight away confirming that. If you didn’t, then your email provider might have thought it was spam, so you should check your spam folder to see if it’s in there. If you still can’t find it, you might have sent us the wrong email address. When you registered, the confirmation page is actually a page where you can change any of your information whenever you like. Take a look in your web browser’s history, and look for a URL that looks something likeÂ http://register.summerofsonic.com/registration/133/7a59b7fc4e6fd32a. If you find it, go to that page and you can check the details you put in, and change them again if you need to. All the registrations we get are checked over to make sure they have all the information we need. Most commonly, people get the “next of kin” part wrong, also known as the “emergency contact”. We need this information in case something bad happens during the day, and we or the emergency services have to get in contact with someone that knows you – say, a family member or a close friend. What we need specifically is their name and either their address or their phone number. Or you can just type in a phone number, but it’s nice to know who to speak to, dont you think? The email you got should let you know what we thought was wrong, and also have a link to your personal page. There you’ll see the same registration page with the details you filled in originally. Add whatever details were missing, and submit the form again, and it’ll go back in the queue. That’s good! In fact, you should get this email in less than a day after registering, and it means we’re happy with the info you sent us. In the email you’ll find a link to download your ticket. Depending on your browser, it’ll either display inside the browser or be saved somewhere on your computer. SoS tickets are in PDF format, so you’ll need a PDF reader program installed on your computer to open it. Most computers already have Adobe Reader installed, but there are other programs such as Foxit Reader and Sumatra PDF that also do a good job. When you open it up, you should see a bright blue ticket with Sonic on, the SoS logo, and an 8-digit number at the bottom which is your code. You need to print the ticket onto a sheet of paper and bring it with you on the day. It should fit comfortably on a sheet of A5 paper. When you print the ticket off, you should find an option called something like “Page Scaling”, and make sure it’s set to “Actual Size” or “100%”. This makes sure the ticket is the right size, instead of stretching it to fit the page. You’re free to cut the ticket out, laminate it, stamp a hole for your lanyard etc, if you like, but please don’t modify the ticket itself (such as changing the code) as it may not be accepted. If at any time you’re unsure about registration or your current status, email our resident security guy, Josh Urtheart Cartlidge (that’s his real name, innit) at shadow_urtheart@hotmail.com. Tell him what’s upÂ and he’ll try to help you out. I’ve mentioned a couple times above that when you register, you get a page that holds your info so you can edit it if you like. That page also doubles as an information page for your registration – in fact, it tells you pretty much everything the emails we send do, including a link to download your ticket. So, if you’re in doubt, find that page and you’ll know the score. Anyway, I hope this has helped some of you out a little bit. Looking forward to seeing you in London on the 7th! Because we all know that your day at the Summer of Sonic Convention will be exhausting enough, what with having to pack in an All-Stars Racing Tournament, a stage program including a performance from Crush 40 and a plethora of not-yet-released titles amongst other activities, youâ€™ll probably want to take some time to just chill out. So, we invite you to come and spend some time with us after lunch for a bit of â€œAfternoon Teaâ€ with one of our most esteemed guests, Jun Senoue, who will be treating Summer of Sonic attendees to a session of instrumental songs from the Sonic the Hedgehog series, old and new. So if you really canâ€™t wait for the Crush 40 performance in the evening, then fear not; this should tide you over until then! Check back for even more news on events at Summer of Sonic soon! To the shock and horror of many we regret to announce that we may soon have to close registration. In previous years registration has usually got to a point where we have had to stop it in case we go over the legal limit of how many people we are allowed in the place we hold our events (health and safety and all that, any comments about us being PC will be met with a shotgun, we have to follow em). Despite us being able to hold double the amount of people in this venue, we are sadly reaching that limit again of how many people we can hold. If you are still on the fence about coming to Summer of Sonic, register anyway, this way you get a ticket in case you do want to come. We will still try to get in all those who come but have not registered but please be aware that ticket holders will get priority. We are sorry that we have had to warn you of this before even a week of registration has come, but deman for Summer of Sonic has once again been far greater than we anticipated, with people all over the world trying to get to the event. We will inform you if anything on this changes. Summer of Sonic & First 4 Figures Team Up! Before you even ask me, I don’t even know how I managed this one but Summer of Sonic and First 4 Figures are happy to announce a partnership that will see F4F as a sponsor of this yearâ€™s Summer of Sonic and will allow SOS attendees to gain possession of a special free gift from the specialist figure manufacturers. All attendees will, whilst stocks last, receive free of charge one of First 4 Figures brand new Series 2 of their 2 inch Sonic figures line, which we are also exclusively revealing today. 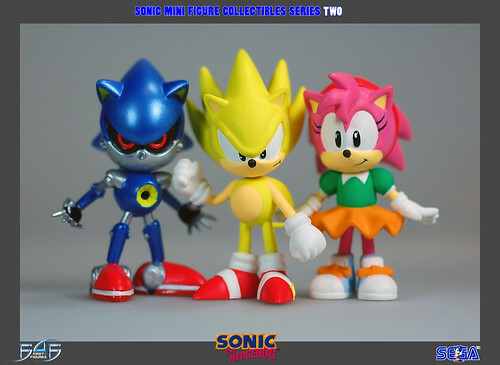 Series 2 will contain Super Sonic and Classic Amy Rose; these will be in shops soon where you can purchase them individually. Also at some select shops, F4F will be releasing a collectors 6 pack which includes both Series 1 and Series 2 together! A 6-pack AAUK? Wait surely there must be another character then! Well you’d be right. The figure you will be getting is not Amy nor is it Super Sonic, attendees will be getting – before its even out on sale anywhere in the world – METAL FREAKIN’ SONIC! That ladies and gentlemen is the look of a robot that is going to rip your face off the first chance it gets. GLORIOUS. And there’s more – somehow…wonderfully… there is more! First 4 Figures have been even more generous and they will also be entering all attendeeâ€™s names into a raffle draw where you can win one of the Super Sonic Exclusive statues – yes the ones that light up! We’re hoping to have the prototype of this figurine on display in our merchandise case this year as well. 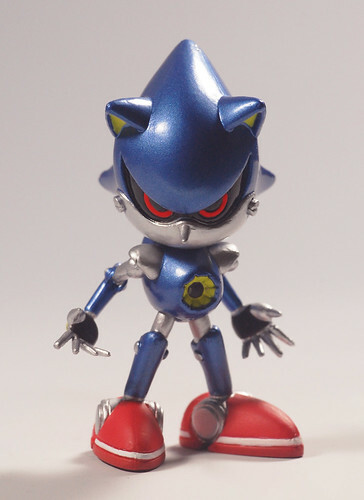 Details of this prize draw will be made nearer the time, for now SOS attendees content yourself with the knowledge that a pocket-sized Metal Sonic is coming your way. Everyone else can check out these images of the new Series 2 figures and the limited six pack below.